This is WOW News 247: New Zealand Expells US Diplomat Amid Police Inquiry! New Zealand Expells US Diplomat Amid Police Inquiry! 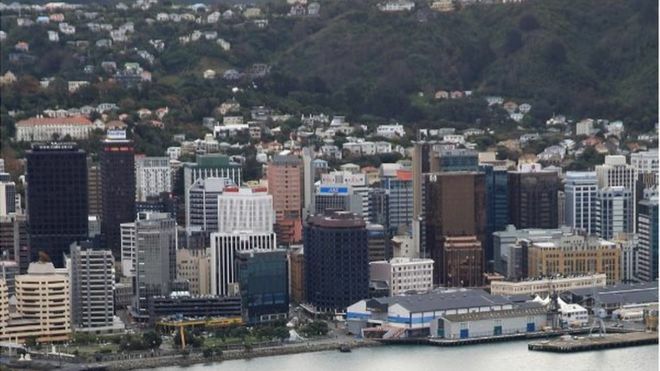 A US diplomat has been expelled from New Zealand after the embassy refused to waive his immunity during a police investigation. The staffer was allegedly involved in an incident on 12 March, but police were unable to question him after the embassy declined their request. New Zealand then asked the US to remove the man, who American officials confirmed had left on Saturday. Police have refused to give further details of the allegations. However, New Zealand Radio reported the man - who has not been named - had left the country with a broken nose and a black eye. Police did say they were continuing to investigate the incident, which took place just outside Wellington. All diplomatic staff working in New Zealand are immune from prosecution, thanks to the 1961 Vienna Convention. However, New Zealand's foreign ministry said it makes it "clear with all diplomatic missions in New Zealand that it expects foreign diplomats to abide by New Zealand law, and to waive immunity... if there are allegations of serious crimes". The US embassy in Wellington - which is without a permanent ambassador after President Barack Obama's appointee was recalled by Donald Trump's administration in January - said it did not comment on the specifics of matters under investigation. It added: "We take seriously any suggestion that our staff have fallen short of the high standards of conduct expected of US government personnel."